Admirable Books strives to develop and maintain well satisfied clients. All of our merchandise carries a guarantee that is unmatched in the rare book, manuscript, or autograph business. If you are not happy with anything for any reason you can return it in the same condition as received within two weeks for a full refund. All items are guaranteed to be authentic without any time limit other than the proprietor's rendezvous with eternal peace. Authenticity is not just important, it is essential. Therefore all autograph items are accompanied by $1,000 fraud protection reward above the purchase price. This means if ever any autograph item is proven non-genuine, then we will refund the purchase price plus pay an additional $1,000 back as a reward. Authenticity is highly important to us, and autographs in particular deserve very special attention. 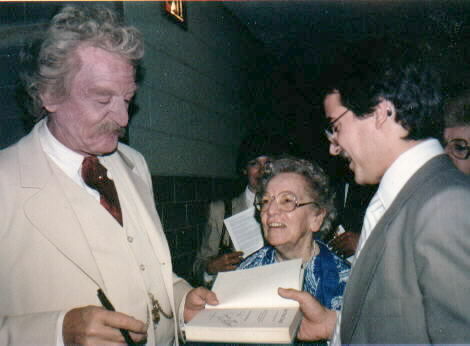 Robert Slotta, founder & proprietor of Admirable Books, has studied Mark Twain memorabilia of all kinds profusely for over two decades, graduated top of the only Mark Twain collecting course ever offered by an academic institution (Indiana University, Bloomington), and studied Mark Twain privately under Caroline Thomas Harnsberger, close friend of Mark Twain's daughter Clara and noted Mark Twain scholar & author. Mr. Slotta travels the globe in pursuit of acquiring original Mark Twain treasures from many different kinds of sources, from individuals or families who happen to have Mark Twain material, to dealers or auctions, to institutions and collectors. 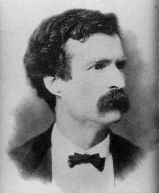 From individual items to substantial collections, we want to pay you top dollar for quality Mark Twain. We invite you to contact us for a consultation that is free of any cost or obligation. Mr. Slotta will travel anywhere for quality Mark Twain. 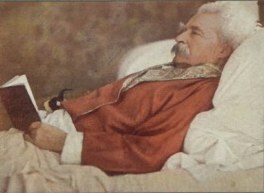 You can build a superb collection of museum quality Mark Twain memorabilia of any and all types, including rare books, photographs, manuscripts, letters, and ephemera. Admirable Books can play an important role by not only supplying some memorabilia, but also lending critical expertise. Private, discreet transactions are assured for the discriminating collector. Mark Twain collection development is one of our greatest features, but please feel free to contact us for ANY Mark Twain related matter anytime. You may sample our inventory by clicking on the "Treasure Chest" icon in the banner above. Please note that if you are seeking anything in particular or want to be notified when highly important material becomes available it is best to contact us by phone (614) 439-5913 at your earliest convenience for a free consultation.